We all regale against the enemy – Time …. What happens to the days, the weeks, the months? It’s year end again – summer holidays and kids at home. But don’t despair, there’s always loads for kids to do in Jozi. 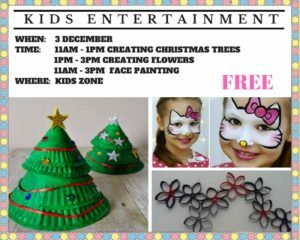 Last minute addition to Things to do with kids in Jozi .. and this activity is free. There’ll be a full blog post coming but in the meantime to whet your appetite: the Wilds has been cleaned up thanks to Herman Mashaba’s Clean the City campaign and James Delaney’s amazing time, energy and creativity. James is an artist, Jozi explorer, faithful friend to Pablo (his retriever/lab), and lives near the Wilds. He started working on clearing the Wilds and clearing and opening up the overgrown areas plus dotting fabulous metal cut-out owls in the trees (and some animals to complete the wild theme!). There are 67 metallic owls in a copse and it is SUCH fun to look and find them. 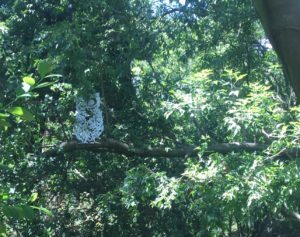 It’s a wondrous combo of that spotting the previously unseen when you come to a complete stop in the Game Reserve; of finding treasure in a hunt; and of being in an outdoor art gallery. WHAT a win! Adults and children were clearly getting such pleasure; strangers were connecting over their ‘sightings’. What an amazing initiative James Delaney – you superstar! In the meantime check this as always fabulous post from 2 Summers. Take a picnic in the holidays and enjoy the new-look Wilds. Stay at our well located Guest House and experience Johannesburg activities with the family. View our Rosebank Guest House for Rates and Availability! So for littlies (ie up to 5?) one of my favourite places is The Noisy Rooster 48 Keyes Avenue Rosebank. The ‘new’ owners have done wonders with this venue. I have watched it grow over the last months in terms of equipment, activities and size of the clientele. Admittedly when I last went it was a Saturday and there were a couple of large birthday parties, but somehow despite lots of small kids, there was a feel of energetic play and contented fun. There are animals (pigs, goats, rabbits) , lots of equipment, fun indoor stuff to do and the most lovely child-minders who are like angels when, as an adult you have more than one small child to watch over and you need an extra pair of eyes and hands! Highly recommended. 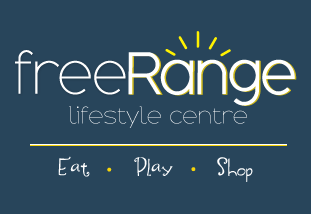 Further north In Fourways (not my usual stamping ground) is FreeRange LifeStyle Centre at the Rustic Timber and Garden Center 42 Witkoppen Rd, Cnr Kingfisher Dr. There are 2 play areas: 0-3 play area with childminders and then for the older +3s there’s more advanced equipment, castles, sandpit, bike track and all with the wonderful Clamber Club equipment. Plus lots of shade for adults to relax and have a meal or a cup of coffee. And there are cookery classes and an amazing crafting section called the Glitter Factory where kids can use glitter, paint, mosaic, clay and make their own creations. The Glitter Factory is open 7 days a week…Monday to Friday 8:30 to 16:30 and Saturday and Sunday 9:00 to 17:00. 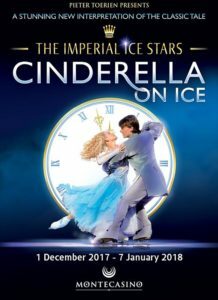 There are several theatre performances which are ideal family entertainment. The inimitable and indomitable Janice Honeyman has her annual pantomime. 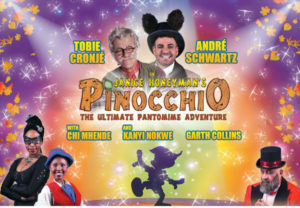 This year it is Pinocchio at the Joburg Theatre with the equally inimitable and indomitable Tobie Cronje as Geppetto. It shows until 30th December. 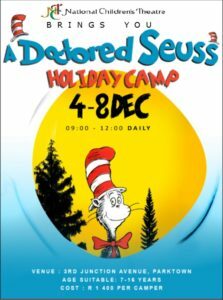 If Dr Seuss has anything to do with Dickens’ Christmas Carol, it could only be a whimsical reinvention as well as loads of fun. A Seussified Christmas Carol shows at the National Children’s Theatre until the 23rd December 3 Junction Avenue, Parktown. The girl’s Mother’s response ? “You can have any pet you want as long as it doesn’t need to be walked or bathed or fed! It’s a sloth! WHEN: Tuesday 5 to Friday 8 Decr 12:00 and 14:00; Saturday 9 Dec, 10:00 and 14:00; Tuesday 12 to Friday 15 December & Monday 18 to Sat 23 Dec, 10:00 and 14:00. Markets are wonderful place to browse, eat, drink, chill and shop. The Rosebank Sunday Market is a great family market as it has wide aisles and lots of space so there isn’t that cramped claustrophobic feeling that so many markets have. 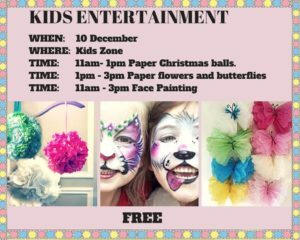 Plus they have special children’s activities planned for Sunday 3rd and Sunday 10th December. 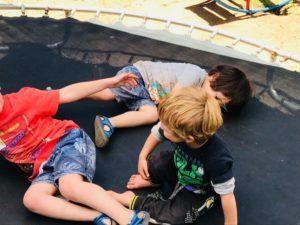 The Bryanston Organic Market has several stall holders who offer various activities for kids from painting on ceramics and Tshirts to the Toy Lady’s stall with its train set and doll’s house. For more on Jozi Christmas markets see the as always excellent post by Johannesburg In Your Pocket. 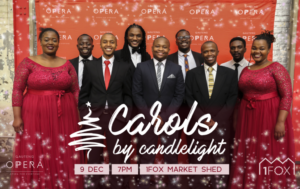 Gauteng Opera at The Sheds, 1 Fox St.
Carol singing is a firm family favourite at this time of the year and there are always loads of events on offer. But particularly special will be the Gauteng Opera singing carols at the Sheds Fox St on 9th December at 7pm. Billed as “the best Christmas Show in Gauteng”, it’s a wonderful mix of the magnificent white stallions and the Welsh Male Voice Choir, who will sing popular carols. There are performances in the evening and on Sunday mornings but check the website for full details. Paddington is happily settled with the Brown family in Windsor Gardens, spreading joy and marmalade wherever he goes. 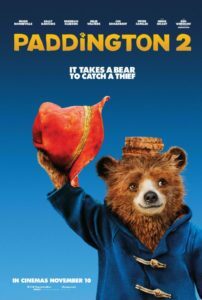 Paddington finds a special pop-up book in Mr. Gruber’s antique shop and wants to buy it. But when it is stolen he has lots of adventures to find the thief. 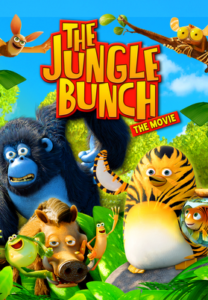 This didn’t get a very positive review billed in The Guardian as a ‘relentlessly chirpy kids’ animation … set in a colourful jungle menaced by a pyromaniacal koala bear called Igor. 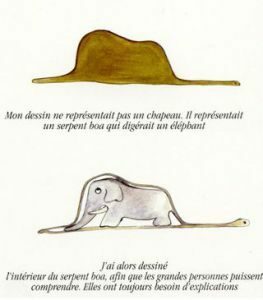 But then Cath Clarke is a grown up who probably also thinks that a python that has swallowed an elephant is just an ordinary hat. And finally Coco and Olaf’s Frozen Adventure is a typical Disney animation. Olaf’s Frozen Adventure is a 21 minute short (the 2013 Frozen won many awards) which shows before the feature film Coco. So as always there is lots to do, although most of it comes at a price! Playgrounds, feeding the ducks and visits to the local library all come for FREE! !